Migatronic Omega² - a flexible and state-of-the art machine range. 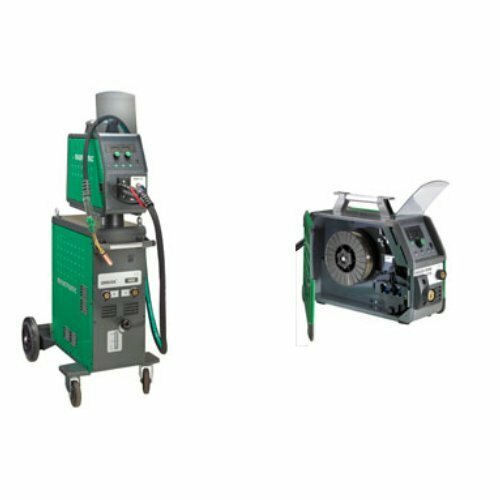 The Omega² welding machines range from 220 A to the large Omega² 550 A featuring gouging. The machines are targeted at manual and manufacturing industries; easily operated, infinitely variable and fully digital welding machines featuring reversed polarity and two optional control panels, the manual Basic panel and the synergic Advanced panel. The Omega² range is quite flexible: Five optional power sources and two control panels, manual or synergic. The Omega² is available as a C version (compact) or a versatile S version (separate wire feed unit) with a turnable and detachable wire feed unit and replaceable interconnecting cables. shielding in all current ranges. From MIG/MAG to MMA or gouging. With the Advanced control panel, the Omega² is easy to change over from synergic MIG/MAG programs to MMA welding. the advantages of an inverter machine. The Omega² 550 with Advanced panel features gouging. The Omega² 220 and the Omega² 300 can be equipped with electronic Boost Converter (auto transformer) for welding on all mono-phase and three-phase mains voltages. the service vehicle and site welding.